I enjoyed your post, Jenny. Hope you feel better tomorrow. I have a feeling Molly will be in doggy depression this week too. I just linked up only to find the link up closed too. Oh well...it was a fun post to write. Have a great week! Hey there! So cool about your principal - I've always been blessed to work with amazing people just like your principal! Also - I fixed the linky so you can now link up with me on my blog! 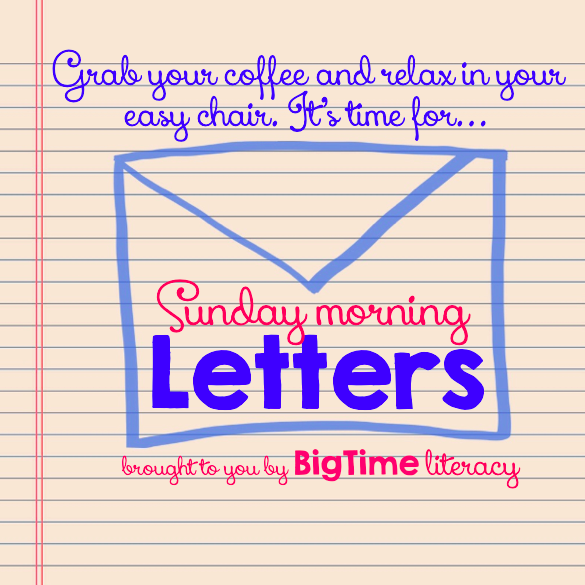 Sorry for the confusion, too...I'll post another new Letters blog this Sunday (planning to do one every other Sunday!